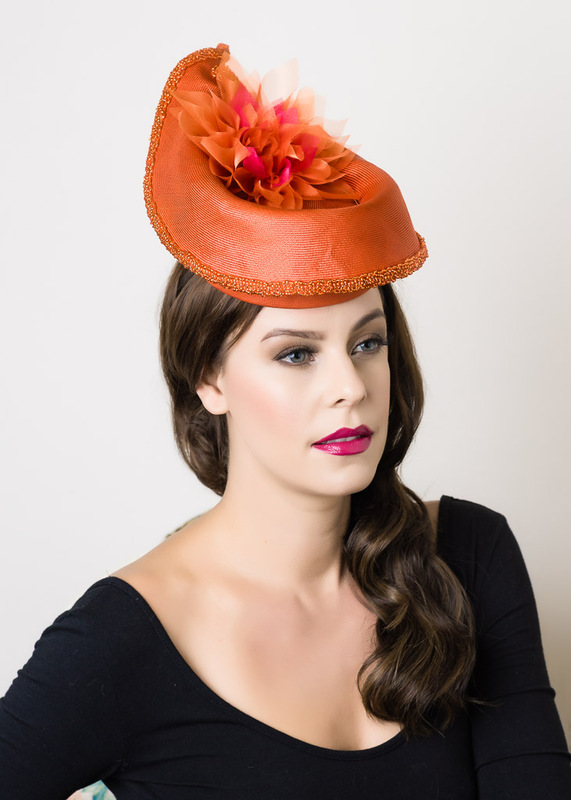 Vintage linen weave straw in orange. 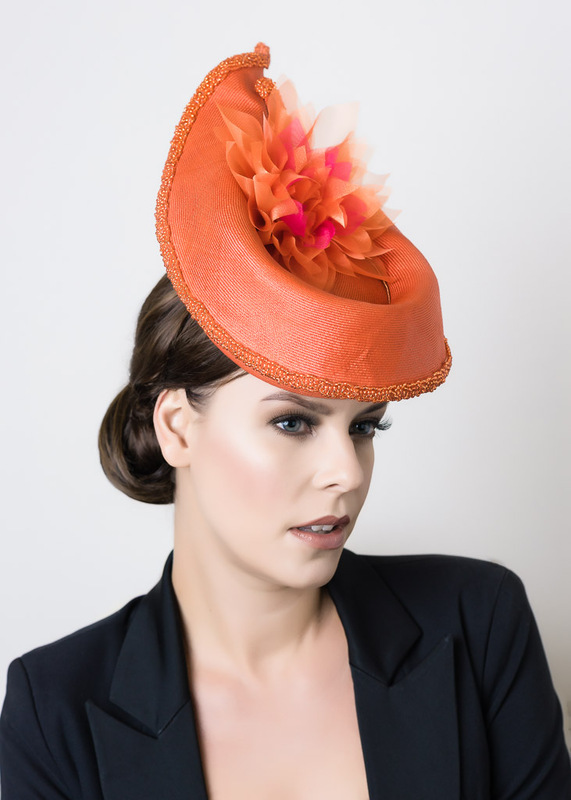 Large hand made flower to back and front with fuchsia chiffon in the centre surrounded by petals of orange chiffon. 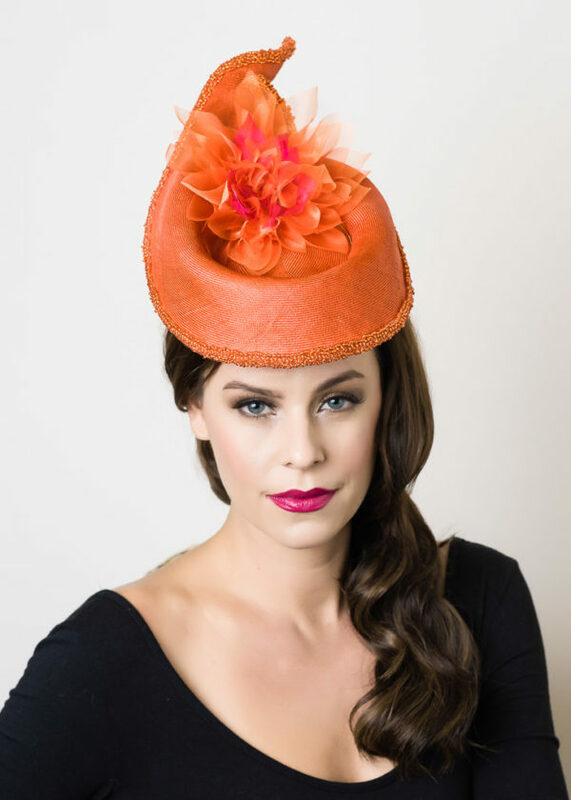 Edge of hat hand beaded in tiny orange glass seed beads to match straw.